Grover Cleveland Alexander takes the mound against the Boston Braves. Ol’ Pete has had a season for the ages, shutting out every single team in the league at least once. With the season coming to a close, and both teams out of the pennant picture, Alexander bears down and takes care of business at Wrigley Field. Cubs third baseman Charlie Deal knocks in two runs in the 6th with a double, and another in the 8th with a ground out, and Alexander does the rest. He induces nine little taps to the pitcher, strikes out four, walks none, and gives up six harmless hits. In less than one hour (58 minutes), he shuts out the Braves. The final score is 3-0. Nearly a hundred years later, it remains the shortest nine inning game in Cubs history. September 17: In 1939, the Cubs experiment with yellow baseballs in a double header against the Dodgers. They lose both games…In 1947, Bill Nicholson hits a homer in the bottom of the ninth beat the Giants 12-10…In 1953, Ernie Banks plays his first game at Wrigley Field—the first African-American to ever play for the Cubs…In 1992, Mike Morgan throws a 2-hitter and the Cubs win 3-0. September 18: In 1929, the Cubs clinch the pennant with a loss, when Pittsburgh also loses…In 1989, Mitch Williams gets his first big league hit—a home run…In 1999, Sammy Sosa becomes first player in major-league history to reach 60-homer mark in back-to-back seasons in a 7-4 14-inning loss to the Brewers…In 2010, the Dave Matthews Band plays at Wrigley Field. September 19: In 1969, Ernie Banks gets his 2500th career hit in a 10-inning win against Bob Gibson and the Cardinals. The Cubs have slipped to four games out of first place…In 1973, Ron Santo hits his final homer in a Cubs uniform, in an 8-6 win against the Expos. The pitcher was Expos relief ace Mike Marshall. September 20: In 1931, the Cubs stage Gabby Hartnett day, and sweep a double header against the Giants. Hartnett goes 6 for 8 with five RBI…In 1932, the Cubs clinch the pennant with a victory over the Pirates. Guy Bush wins his 19th game of the season. September 21: In 1966, A paid attendance of only 530 fans watches the Cubs defeat the Cincinnati Reds 9-3 on a Wednesday afternoon…In 1971, Burt Hooton outduels Tom Seaver by throwing a two-hitter in only his second big league start. Ron Santo hits his 300th career homer off Seaver in the 2nd inning to provide the Cubs all they need to win the game…In 1997 Ryne Sandberg plays his final game at Wrigley Field. The Cubs beat Curt Schilling and the Phillies. Sandberg goes 2 for 3, with a double and an RBI. September 22: In 1963 Billy Williams is back in the lineup after getting a day off. His next day off will be next decade. He goes 0 for 5 in a 7 to 3 Cubs win over the Braves…On this day in 1964, the Cubs beat Don Drysdale 1-0. Billy Williams drives in the only run of the game…In 1990, Andre Dawson steals his 300th career base in an 11-5 loss to the Mets…In 2015, Jake Arietta wins his 20th game of the season, shutting out the Milwaukee Brewers. In the same game, Kris Bryant sets a Cubs rookie record with his 26th homer of the season. 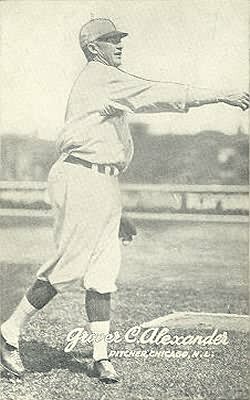 September 23: In 1940 Claude Passeau wins his 20th game of the season (his only 20 win season). It’s a 10-0 four-hit shutout against the St. Louis Cardinals. Passeau also homers in the game. Ferguson Jenkins wins his 284th and final big league game. He comes in to relieve Cubs starter Chuck Rainey in the 6th inning, with the Cubs leading the game 5-4. Jenkins helps get Rainey out of trouble that inning, but in the seventh Fergie struggles after getting the first two outs. The rest of that inning includes a walk, a balk, a single, a double, and an error by a young Cubs second baseman named Ryne Sandberg. Two unearned runs come across the plate, and the Pirates have the lead 6-5. But because the Cubs score twice in the bottom of the seventh (thanks to a sacrifice fly by Jody Davis and an RBI single by Larry Bowa), Fergie is the pitcher of record when the dust settles. It isn’t a thing of beauty, but in a career filled with tough-luck 1-0 losses, it seems only fair that Fergie’s final win would be a cheap one. He retires after the season, and is elected into the hall of fame in 1991.